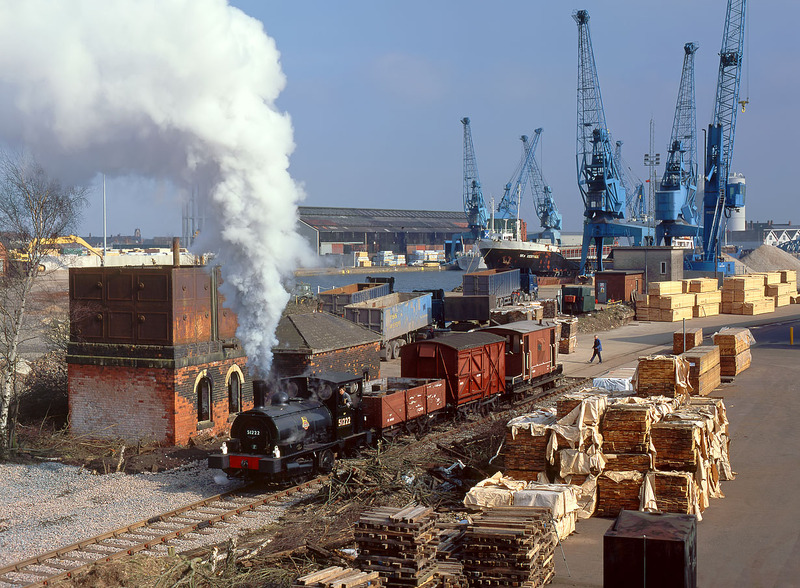 The steam age returns to Goole Docks on 15 March 2003, as Lancashire & Yorkshire Railway 0-4-0ST 'Pug' No.51218 masquerading as scrapped classmate 51222 passes a couple of buildings surviving from the steam era as it approaches the site of Goole Goods Junction with a short freight. West Dock can be seen in the background, with the freighter Sea Kestrel moored at the quayside. Piles of Scandinavian timber, which is one of Goole's chief imports can be seen in the foreground.